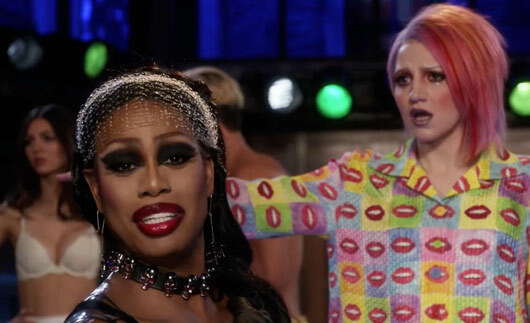 Watch the trailer for the television film event, which stars Orange Is The New Black's Laverne Cox as Dr. Frank-N-Furter. The Rocky Horror Picture Show might be one of our most quintessentially British exports, but it looks like the 1975 Richard O'Brien musical is getting a very Hollywood reboot. To help celebrate the film's 40th anniversary, FOX are airing a special television version of the cult classic this year, and they've unveiled its very first trailer. Orange Is The New Black's Laverne Cox is playing Dr. Frank-N-Furter and, while there'll never be another Tim Curry, she really looks like she may do the role justice. 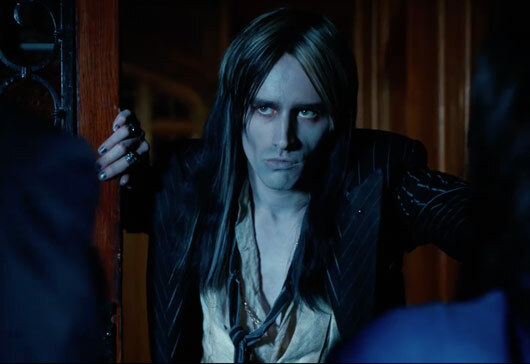 Singer-songwriter and actor Reeve Carney will play Riff-Raff, while Ryan McCartan and Victoria Justice star as Brad and Janet. From the world of pop music, Christina Milian will play Magneta, while Adam Lambert will play Eddie. He's definitely got the lungs, but can he do it better than Meatloaf? While it's a little strange to see the film rebooted, fans can rest assured that it will stay somewhat faithful to the original, using the script written by Richard O'Brien and Jim Sharman. And if that still isn't good enough, Tim Curry is set to return as The Criminologist, narrating the show. Phew. To be honest, we're not sure if we're angry or excited about this, but we are probably going to watch it anyway.